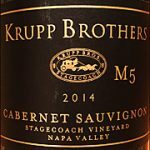 Ken's Wine Guide Blog Including Wine Ratings, Wine Reviews, Red Wines, White Wines, Champagne, & Wine Gifts | Welcome to the KensWineGuide.com Blog!! As we approach the New Year it is time to make your New Year’s Eve Champagne and Sparkling Wine purchases. This year we received another great group of options for you to choose from. In this post we will highlight some of our favorites bubble options! I will break the post into three categories. White bubbles, Rose bubbles and Bargain bubbles. This was my favorite Champagne that we covered in our recent Big Blind Tasting. The collective Tasting Panel also enjoyed it a lot, as we awarded it with 92 points. It opens with a fragrant bread dough, light lemon and chamomile bouquet. We found it to be perfectly balanced and creamy. We all really liked the mouth feel. Its flavor profile was a very tasty mineral infused lime with notes of almond and lemon zest. This would be a perfect News Year’s Eve toasting wine. You can also serve this gem with bacon wrapped scallop appetizers. This good value sparkler wine with streaming tiny bubbles performed very well in front of the Tasting Panel. They awarded it 91 points. It opens with a very doughy bouquet with hints of bosc pear and baked apple. On the palate, we found it to be medium bodied, balanced and round with mineral infused bread toast flavors. We also picked up some notes of walnut and caramelized apples and a touch of honey. The finish is dry and shows nice length. There is no better way to kick off your holiday party than with a toast to the family for another great year! I would suggest you consider this affordable 90 point sparkling wine from Schramsberg. This sparkler displays tiny streaming bubbles and opens with a green tea and lemon bouquet with hints of honey. The Panel really liked its toasted almond and green apple flavors with hints of candied lemon and earthy herbs. The finish is dry and refreshing. Try it with a fresh bruschetta appetizer! This pinkish dark coral colored Champagne opens with tons streaming bubbles. Its opens with an attractive Maraschino cherry and bread dough bouquet. On the palate, this wine is medium bodied, slightly acidic and has a nice presence. The flavor profile is a tasty mild mineral infused strawberry and red raspberry blend with a hint of lime. The finish is dry and its flavors linger and last for quite a while. This 93 point “Brut Rose” is very impressive and will be liked by all. Bring it out for a special occasion! Enjoy it with fresh sliced Norwegian salmon. This 91 point coral colored Sparkling Wine from Schramsberg displays plenty of streaming bubbles. It opens with a fragrant doughy bouquet with a hint of red cherry. On the palate, this wine is medium bodied, balanced, gentle and elegant. The flavor profile is a mild mineral infused light red cherry with a hint of golden raisin. The finish is dry and refreshing. This Rose sparkler is food friendly and would pair well with mushroom risotto. This light coral colored Sparkler was well received by our mini-tasting group. We gave it 90 points. It opens with streaming bubbles and a mild strawberry and bread dough bouquet. We found it to be medium bodied, slightly acidic and mouthwatering. It displays tasty mineral infused tangerine flavors with notes of strawberry and lime. I would suggest serving it as your opening wine with shrimp cocktail. Every once in a while, our Tasting Panel finds a diamond in the rough. This gem, is one of the best deals we have ever found in a Big Blind Tasting. We loved this surprise entry. It is a truly a steal at $17! It opens with an inviting red cherry bouquet with hints of raspberry and rose petals. We found it to be medium bodied, nicely balanced, elegant and smooth. It displays very tasty mild mineral flavors with notes of strawberry and tangerine and a hint of red raspberry. It closes with a dry and delicate finish that fades away nicely. The Panel thought this offering would be a huge crowd pleaser. We awarded it 93 points. This last one was discovered by our chief Bubblehead Nicolay. He stated that as far as Proseccos go, this is exactly what most folks are looking for. Soft, inviting, with nice notes of wildflowers, ripe peaches, and hints of lychee. The wine has plenty of apple and apricot flavors that is lifted by the acidity and the smaller bubbles. This 89 point well-crafted Prosecco is well-crafted and would pair well with creamy pasta and oven roasted pork. To see all the Champagnes and Sparkling Wines that we recommend, please check out to these two links that lead to all our recommendations! We hope your New Year’s Eve is a wonderful one. See you next year! Dry Rose is one of the fastest growing categories in wine. Although still minuscule is terms of overall sales, it is one of the most interesting subjects in the wine world these days. So why is it so popular? One reason is its price point. In most cases, you can get a very good premium Rose for between $16 and $22. Another reason is these wines are very drinkable. On a hot summer day, some might even say they are quaffable and refreshing. That makes them very easy to like. Finally, another big reason for its popularity is social media. Millennials love their selfies with pink wine in the glass! Hashtag’s galore, like “Rose All Day”, “Yes Way, Rose” and “Brose” for the guys, keep it front and center on the internet. So, with all this popularity winemakers are doing their best to keep up. As a reviewer, I can safely say, everyone is now making a dry Rose. It is my job to sift through the loads of samples submitted to find you the best ones to enjoy. In this blog post, I will present to you several terrific Rose options that I have discovered so far this Spring. I wanted to get this list out to you soon so you to can enjoy them this summer. I hope to provide a second update over the Fourth of July week. The best Rose that I have found so far this spring is the 2017 Anaba “Rose of Grenache” from the Sonoma Valley. While not inexpensive at $28, it is well worth your investment and time to seek out a bottle or two. This gem is light to medium bodied, very smooth and wonderfully coats your mouth. I loved its very tasty mild tangerine and mineral flavors with notes of wild strawberry and a hint of lemon. It is dry, refreshing and very food friendly. I would enjoy it with steam Nova Scotia mussels. There were only 171 cases of this 92-point beauty made. So, call the winery soon, before it is all gone. This next grouping is our 91 pointers. These three wines are also very impressive offering that will stun your friends and turn them into dry Rose fans. We will start in Provence, France with a wine produced by Ferry Lacombe. Their 2017 “Haedus” Rose for $22 is very good. We gave it 91 points. This gem is made from the traditional Provence grapes of 50% Grenache, 25% Syrah and some Cinsault & Vermentino. This wine is medium bodied, pleasantly acidic and mouthwatering. It displays classic flavors of upfront minerality with notes of gentle strawberry. We also picked up some vanilla, watermelon and cashew mixed in. It finishes dry and refreshing. I would pair it with grilled tequila-lime shrimp. Navarro Vineyards up in Anderson Valley is well known for their Pinot Noir, Chardonnay and of course their Gewurz. But do not discount their Rose. Their 2017 “Rose of Pinot Noir” for $22 is a knockout. It is medium bodied, slightly acidic and has a really nice round mouthfeel. Its flavor profile is a pleasant mineral infused strawberry with notes of white pepper. I also detected a hint of watermelon and touch of lime mixed in. This dry Rose is very food friendly and versatile. I would pair it with a grilled spicy lime shrimp with a creamy avocado cilantro sauce. Our final 91 pointer is from the Tavel wine region in France. An interesting nugget about Tavel is they only make Rose wines. So, they are very good at it. The 2017 Chateau La Nerthe “Prieure de Montezargues” for $25 is a very good example of this. This wine is made from 60% Grenache, 20% Syrah and the rest Clairette, Bourboulenc and Cinsault. It opens with a mild floral bouquet that features rose buds. Our mini-tasting group found it to be medium bodied, pleasantly acidic and a refined wine. Its flavor profile is a nicely integrated mineral and mild watermelon blend with a hint a red cherry. It finishes dry and its flavors show nice length for a Rose. Our group thought it would pair nicely with a blackened swordfish. Next up we have five 90 pointers. We will kick off the list with the 2017 Decoy Rose from California. This $20 wine is made from mostly Syrah. It is medium bodied and nicely balanced between its acidity and fruit. Our mini-group of tasters liked its gentle mineral infused strawberry flavors with notes of red cherry. This Rose will be a crowd pleaser and very versatile. I would pair it with tomato and basil bruschetta. The next two Roses are both made from Pinot Noir. We will start with the 2017 Merriam Vineyard “Rose of Pinot Noir” from the Russian River Valley. This wine is medium bodied and nicely balanced between its acidity and fruit. I really liked its mineral influenced light strawberry and red cherry flavors with a hint of clove spice drop mixed in. This wine goes for $22 per bottle, there were only 190 cases made you be sure to secure some soon. Next up is a bigger production wine from La Crema. Best known for their Chardonnay and Pinot Noir, La Crema over-delivered with this Rose. Their 2017 “Rose of Pinot Noir” was very popular amongst the tasters at a mini-charity event for Ovarian Cancer that we had at Colonial Spirits in Acton. We found it to be medium bodied, balanced, elegant and very approachable. The group really liked its mild watermelon flavors with hints of red cherry and minerality. We all thought this $22 Rose would pair nicely with delicate foods. The last two 90 pointers use traditional Rose grapes. The first is from California and the next is from Tavel. We will start with the 2016 Malene Rose from the Central Coast for $22. This offering is made from mainly Grenache with some Cinsault, Vermentino, Mourvedre and Counoise. Our class would it to be light bodied, slightly acidic and friendly. We all enjoyed it’s a mild mineral influenced flavors with notes of faint red raspberry, lychee and a hint of white pepper. The group thought this would pair nicely with a chicken and shrimp paella. Our last 90 pointer is the 2016 Domaine de la Mordoree “La Dame Rousse Tavel” Rose for $26. This wine is made from 60% Grenache along with Cinsault, Mourvedre, Syrah, Bourboulenc and Clairette. It is medium bodied, round and well balanced. Its flavor profile, like the nose, is a blend of wild strawberry and red raspberry with a nice amount of minerality woven in perfectly. I also detected some hints of Maraschino cherry and white pepper hiding in the background. It is food friendly and would pair nicely with a pork tenderloin. This 100% Cabernet Rose from South Africa is a great value. It is pleasantly fruity but dry with a medium body. It has flavors of strawberry, pink grapefruit and reserved minerality. Enjoy it with a grilled turkey burger with guacamole on your deck. This coral colored wine from Cline is made with Mourvedre. It is light bodied and displays nice bright acidity. It has nice gentle mineral infused strawberry and lime flavors with hints of kiwi, tangerine and saline. Try this crowd-pleasing Rose with a mahi-mahi sandwich. The Day Owl Rose is made from mostly Barbera with a little Grenache. On the palate, it is medium bodied and mouthwatering. It displays tasty mineral infused strawberry flavors with notes of red raspberry and a hint of tangerine. Try it with shrimp cocktail. This light coral colored wine from Northern Italy is very nice and made from Pinot Grigio. It is light bodied, slightly acidic and mouthwatering. Our class liked its mineral infused red cherry and mild strawberry flavors with a hint of tangerine. Enjoy it poolside on a hot summer day! This 100% Malbec Rose is medium bodied, vibrantly acidic and mouthwatering. Its flavor profile is a mineral infused ginger ale with notes of watermelon and tangerine with a hint of Maraschino cherry. Pair this good value offering with a bacon wrapped shrimp. Chateau La Nerthe Rose 2017 “Les Cassagnes” (Cotes du Rhone, France) $15 (88 points) This dark pink colored wine from Cotes du Rhone is medium bodied, balanced and nicely coats your mouth. Our class enjoyed its mild mineral influenced watermelon flavors with hints of gentle strawberry and red cherry mixed in. Pair it with a grilled mahi-mahi sandwich. This very pale pink wine from France comes in an attractive frosty bottle. It is medium bodied, balanced and has a round mouthfeel. It is mainly made from Mourvedre. Its flavor profile is a mild mineral infused gentle tangerine and nectarine blend. Pair it with bruschetta. This intriguing food friendly Rose is from South Africa. It is made from 100% Pinotage. It is slightly savory, dry, with a medium body and slight acidity. It displays flavors of white peach, red raspberry, watermelon and honey. Serve it with poached salmon for lunch. This list represents the winners we discovered so far this spring. Be sure to check back for another post later this summer with more winners for you to try. For a complete list of recommended Rose wines. Please visit our Rose Guide page. If you find a Rose that you love, be sure to share it with our readers via the comments below. 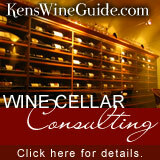 The KensWineGuide.com Tasting Panel is a big fan of Zinfandel. We decided to do an impromptu ZAP tasting in December before our regular winter Zinfandel blind tasting in February. So you might ask, what is ZAP? ZAP stands for the Zinfandel Advocates & Producers. It is a membership based organization that advances knowledge and appreciation for American Zinfandel. They have a big tasting event called the Zinfandel Experience each year in January. This year it is once again in San Francisco on January 18th thru the 20th. At the Grand Tasting there will be over 500 different wines poured by 120 of the best Zinfandel producers. Throughout the tasting, you can meet many of these great winemakers. 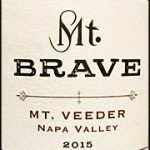 At our December tasting we discovered some very good Zin’s. I am sure you will find these and more gems like them at the Zinfandel Experience. We will start with the 2014 Seghesio 2014 “Home Ranch” Zinfandel from the Alexander Valley. This Zin is a big boy! It is full bodied, velvety, rich and fruit forward. We really liked its black cherry and black raspberry flavors with notes of cinnamon, oak and mulberry. We awarded Zin with 92 points. The Panel suggested pairing this Zin with Steve’ chicken, shrimp paella or Jiko’s wild boar. The next one was a new one for me. The 2015 Bella Grace “Old Vine” Zinfandel from Amador County was a very good introduction to this winery. We gave this gem 91 points. It is medium bodied, very nicely balanced and smooth for a Zin. The Tasting Panel really liked its tasty pomegranate and red plum flavors with notes of strawberry licorice, oak and a hint of red cherry. The Panel suggested pairing this food friendly Zin with the Woods Hill Table’s Charcuterie. One of the best values we found was this Zinfandel based wine from Marietta Cellars. Their “Old Vine Red Lot #66” for $14 is a steal. We assigned it 90 points. It was medium bodied, balanced and a little richer than your typical Zin. We liked its black cherry-cola and oak flavors with hints of strawberry licorice, plum and black pepper. It finishes with gentle dry tannins that linger nicely. The Panel suggested pairing this one with Colorado lamb chops. Another very good 90 point offering is the 2014 “Old Vines” Zinfandel from St. Francis for $22. This Zin was also well-received by the Tasting Panel. It is medium bodied, slightly acidic and juicy. It displays ripe plum flavors along with notes of dark chocolate, black tea and some hints of cinnamon and toasted oak. The Panel suggested pairing this Zin with Chinese pork dumplings. This Zin is also from a new winery for us, but the wine maker and vineyard go way back for me. The 2015 Three Wine Company “Live Oak Vineyard” Zinfandel was a treat. Matt Cline has made wine from this vineyard for years and this offering was just another one of his treats. Readers will find this Zin to be balanced and smooth with tasty black cherry and strawberry flavors. We also detected notes of cola and oak with some hints of black pepper mixed in as well. The Panel suggested pairing this Zin with some Scottish salmon. The last recommendation from the December tasting is the consistently very good “Westside” Zinfandel from Peachy Canyon. The 2015 vintage is a bit of a quaffer! It is medium bodied, balanced and fruit forward. Its friendly red plum and cherry flavors with notes of vanilla oak where appealing. The Panel suggested pairing this well priced Zin with a Thanksgiving sandwich or BLT. These last two Zins where not in the tasting but covered recently and worth noting as they both popular and affordable. The 2015 Seghesio “Sonoma County” Zinfandel for $26 is really popular. We found it to be medium bodied and very juicy. Its flavor profile is an extracted blackberry with notes of black licorice and minerality. It would be ideal with a tangy pulled pork sandwich. The 2015 Cline “Ancient Vines” Zinfandel is another very good offering for less than $20. I found it to be balanced and very easy to drink. I like its blackberry and cherry-cola flavors with hints of minerality, mild oak, red currant and strawberry. While this Zin is flavorful, it is not a fruit bomb, making it food friendly. Pair it with barbecue boneless grilled short ribs! We hope you like these Zins as much as we did. If you go to the ZAP experience, please share some of your favorites with the group. If you would like to go to the ZAP Experience you can buy tickets via this link. If you have any question about the link. Please reach out to Robert Larsen @ Robert@thelarsenprojekt.com. If you’re looking for something to read about wine in a short period of time, I would highly recommend Monika Elling’s Wine 123. Whether you’re just starting to like wine or are an experienced taster, this book offers a brief insight on the basics of understanding how to choose and differentiate wines. It can be overwhelming to select a bottle or even a glass of wine no matter what the occasion, so familiarizing yourself with the basics is important. The first step is noticing the weight of wine, or “WOW” as Monika Elling calls it in her book. Color is essentially the fastest way to know the difference between heavy, medium, or light wines. This method can be used for comparing both red and white wines. The alcohol levels also contribute to the WOW scale. The darker the wine, the more weight it has and vice versa. For example, a light white would be a Pinot Grigio, but a heavy red would be a dark Cabernet Sauvignon. If you’re wondering what wines to pair with specific dishes, Elling also gives you a breakdown of how to go about pairing. Traditionally, darker reds are good with dark meats like steak, and a nice white Chardonnay goes well with a light fish or chicken. True wine professionals are open to trying new types of wine even if they have favorites. Professionals classify wines under two categories: Old World vs. New World. Old World wines are produced in European regions, whereas New World wines are produced in North and South America, Australia, New Zealand and South Africa. In the modern era, most New World high quality wines are from California. New World wines are fruitier and have a higher alcohol content, and they can be enjoyed with meals but also on their own. Whereas, Old World wines tend to accompany a meal. Monika Elling also reveals a corked versus screw cap bottle of wine. The problem that occasionally arises from corked wine is a fungus called Trichloroanisole (TCA). It’s reportedly found in 3-10% of naturally corked bottles creating a very undesirable musty aroma, and potentially taints the wines. As a result, many winemakers are now turning to screw-caps. There isn’t currently enough information on the age ability of screw-caped wines, but wineries are in the process of studying it. With a screw cap, customers are assured to get the full value of the wine. Another fact that will enhance your knowledge about wine is the difference between Champagne and Sparkling Wine. Champagne is only considered “Champagne” if it comes from the Champagne wine region of France. Any other wine with bubbles is referred to as Sparkling Wine. You also might not know that Champagne is typically made from two red grapes and one white: Pinot Noir, Pinot Meunier and Chardonnay. Did you know you can have wine for dessert? In Tokaj, Hungary in the early 1500s, dessert wine was discovered by monks who found shriveled grapes on the vine and found that the delayed harvest resulted in an intense sweetness to the wine. Delaying the harvest allows the grapes to be infected by Noble Rot, “Botrytis,” and the dried-out result contains a high concentration of natural sugars, giving the wine a sweet taste. Whether your looking for a nice sweet dessert wine, or a perfect blend of food and wine to please your taste buds, Wine 123 is the perfect book to read in 90 minutes or less that will tell you all you need to know about the basics of wine. From history, to wine selection, pairing, and how to look like a “pro” while swirling and holding your glass, this book covers it all.